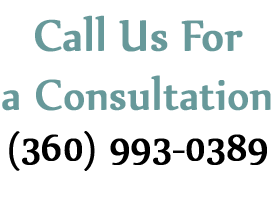 A family law lawyer in Vancouver, WA can do so much for you. Navigating the court system shouldn’t be done alone. What may seem cut and dried out of a courtroom can quickly become complicated when emotion and reality set in. A verbal agreement won’t hold up in court, and if you enter a courtroom without a family law lawyer it can negatively impact the rest of your life. Robert Vukanovich Attorney at Law has more than 25 years of experience representing clients in family court. We help you prepare, negotiate, and reach a favorable decision. With our family law lawyer representing you, you’ll be prepared for anything. Child Custody – There are many factors the court takes into consideration when determining child custody. 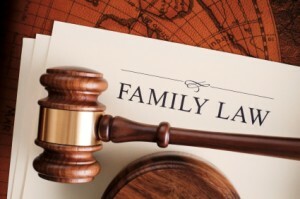 As your family law lawyers we’ll advocate for you. You have rights and our firm can exercise them, ensuring the court’s judgement relies on correct and factual information. Child Support – Washington courts determine child support based on both parties’ income as well as the needs of the child. Our family law attorneys can help negotiate a fair payment amount that benefits both you and your child. Non-Parental Rights – Sometimes a non-parent may be ruled by the court as the most fit guardian for a child. We can aid family members in navigating the non-parental custody process, advocating for you during this trying time. Legal Separation – As your family law lawyer in Vancouver, WA we can guide you through a legal separation. These allow parties to remain legally married while working out an agreement or settlement concerning debts, property, and child visitation. Modifications – Whether you need modification to a previous court order or settlement, a family law lawyer in Vancouver, WA can help. A modification may not be necessary, and depending on when the last one was made, may not yet be allowed. There has to be a significant need for an alteration before the courts consider one, we can help identify opportunities for change and counsel you on how to proceed. Visitation and Parenting Plans – Parenting plans and visitation rights affect both parties. A family law lawyer can help you reach a decision that is favorable for both parties as well as the children. Co-parenting also plays a factor, and we can fairly resolve these issues even when emotions are running high. Prenuptial Agreements – Prenuptial or postnuptial agreements are commonly used to determine asset division in the event of divorce or death. They can be beneficial in allowing two parties to mutually decide an outcome to these events before they are impacted by negative emotions. Spousal Support – Spousal support payments should be fair to both parties. A family law lawyer in Vancouver, WA can help you get a payment amount based off accurate information that maintains your quality of life. Courts take into account marriage length, health and age, as well as the ability to make payments and support oneself. For an experienced family law attorney in Vancouver, WA that gets results, call 360-993-0389 or contact Robert Vukanovich Attorney at Law today.